Let's say it without sugar-coating it: Milan Lucic sucked last season with the Edmonton Oilers. His statistics speak for themselves: the veteran forward ended up with 10 goals, his lowest full-season total since he potted eight in his rookie campaign with the Boston Bruins back in 2007-08 and 13 fewer than he had in his first year with the Oilers in 2016-17. It was a dreadful season for Edmonton, and for Lucic of course. Ahead of the upcoming training camp and season, Lucic vowed he will be back to the old Lucic this season after last year's miserable performance. 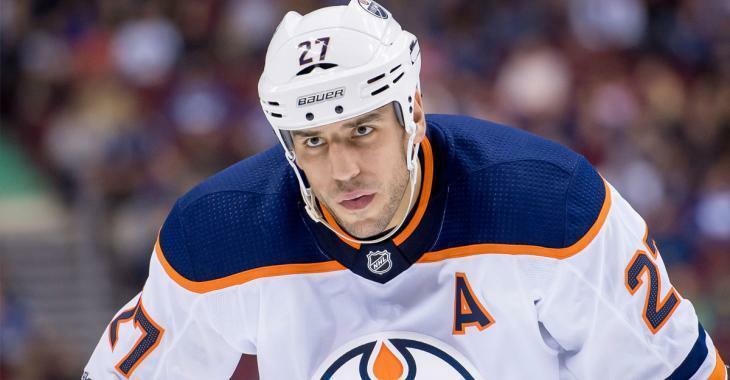 However, while he appears to be in great shape at the Oilers' training camp, NHL insider Elliotte Friedman worries about Lucic's attitude and revealed concerning rumors about the gritty veteran when he took the microphone on the air of Sportsnet 960 in Calgary. As Friedman explained what he expects from the Oilers this season, he dropped this bomb on Lucic. “I don’t know what to expect with Lucic. They’re all talking a good game about what great shape he’s in, he’s leaner and he’s more athletic. He struck me a guy who was incredibly unhappy there. If you’re unhappy, it’s not an easy thing to do." The constant trade chatter might not have help Lucic and his happiness in the past year. There were reports earlier this summer that the Oilers were looking to move the gritty forward and his $6-million cap hit, which is on the books until the end of the 2022-23 season from the unrestricted free-agent deal Lucic signed two summers ago with Edmonton. There were rumblings that the Montreal Canadiens had shown interest in the veteran forward, however, NHL insider Pierre LeBrun denied the information later on. While the Habs lost out in the bidding for his services two years ago, LeBrun has been told they are no longer interested in the gritty forward. Lucic needs to focus on the season ahead and find the energy that made him such a menacing player on the ice. The Oilers could be the total opposite of last year and be contenders again, which could have a great impact on Lucic's happiness and attitude in Edmonton.